Cheesy Tots are a thing from the past that you want coming back. Other things from the past - not so much. 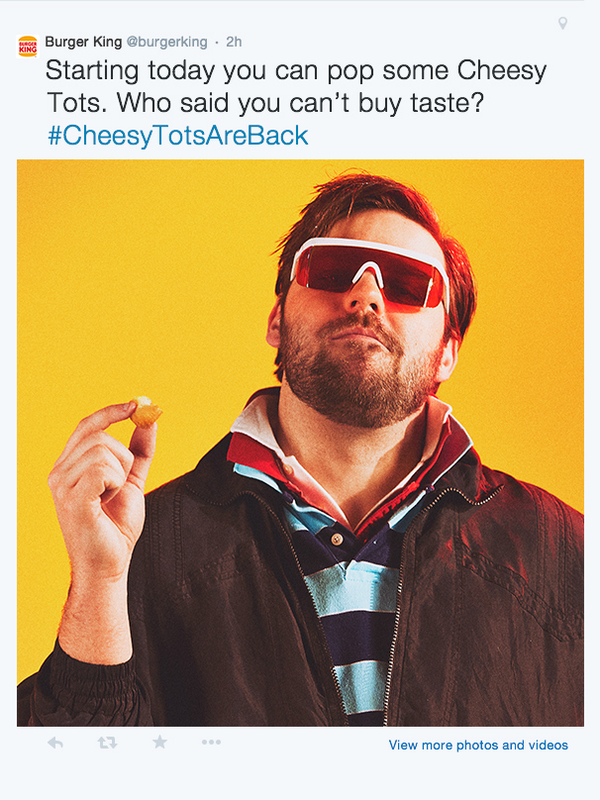 That was the simple idea for the online campaign we did to relaunch Cheesy Tots at Burger King. We shot the spot in 4:3, using every terrible transition from the past we could think of in the edit. The footage was aged in post to give it an authentic VHS feel. And, to cap it all off, we got Burger King to agree to use their 1980s logo for the duration of the campaign. We also made short form videos in the same style to put on social. We shot stills and animated GIFs to use across social.